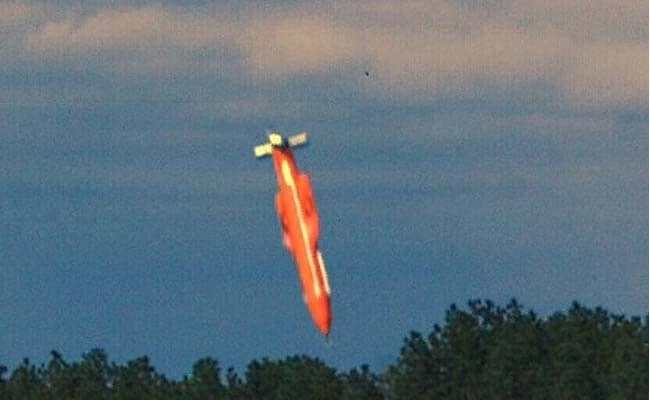 New Delhi: The United States on Thursday dropped the largest non-nuclear bomb, GBU-43, targeting an ISIS complex in Afghanistan. Also known as the 'Mother Of All Bombs', the bomb was dropped in a 'tunnel complex' of the Achin district of Nangarhar province, close to the border with Pakistan. This is the largest non-nuclear bomb ever used in the battlefield. The extent of damage caused by the MOAB is not yet clear. According to the White House, the operation targeted "a system of tunnels and caves that ISIS fighters used to move around freely, making it easier for them to target U.S. military advisers and Afghan forces in the area." The US Air Force calls GBU-43, the Massive Ordnance Air Blast bomb (MOAB). Based on the acronym, it has been nicknamed the "Mother Of All Bombs"
According to the Pentagon, the 'Mother Of All Bombs', which is the largest non-nuclear bomb, has been used in combat for the first time. GBU-43 is a 21,600 pound (9,797 kg) GPS-guided munition. Reports say the MOAB is about 20-feet-long and can burrow through 200-feet of earth and 60-feet of concrete before detonating. The 'Mother Of All Bombs' was first tested in March 2003, around the time of the US-led invasion of Iraq. When the ''Mother Of All Bombs' (MOAB) was first tested in 2003, a huge mushroom cloud could be seen from 20 miles (32 kilometers) away, said the US Air Force. The GB-43 bomb was used against caves and bunkers housing fighters of the Islamic State in Afghanistan, also known as ISIS-K. The strike occurred at 7:32 pm (1502 GMT). The GB-42 was dropped via an Lockheed MC-130 transport plane. During its development, reports hailed MOAB as the most powerful non-nuclear weapon ever designed. "The strike was reportedly designed to minimise the risk to Afghan and US Forces conducting clearing operations in the area while maximizing the destruction of the IS fighters and facilities," US Central Command CENTCOM said in tweet post. However, MOAB is not the largest bomb ever made. Russia, in 2007, tested the Aviation Thermobaric Bomb of Increased Power, nicknamed as the "Father of All Bombs", which is reportedly four times as powerful as the 'Mother of All Bombs.